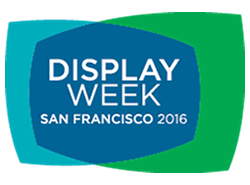 Japan Display Inc. (JDI) will be participating in The Society of Information Display (SID) DISPLAY WEEK 2016, International Symposium, Seminar, and Exhibition. The event will begin on Sunday, May 22, 2016, through Friday, May 27, 2016 at Moscone Center in San Francisco, California, USA. JDI will be delivering presentations at the symposium and exhibition at booth # 917. Based on the concept of "LTPS World – What JDI's LTPS offers", created by low temperature poly-silicon (LTPS) technology, JDI will be exhibiting it's latest technologies and products, including high resolution 8K4K liquid crystal display (LCD) modules, "WhiteMagic" LCD modules characterized by low power consumption, reflective-type LCD modules, "Pixel Eyes" modules integrating touch functionality into the interior of the display (in-cell), displays for automotive, industrial applications, and other innovations. JDI will also be delivering six presentations at the symposium, which will bring together researchers and engineers involved with displays from around the world. 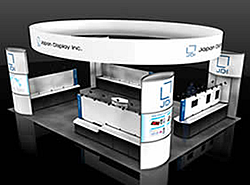 JDI's booth will be divided into sections dedicated to exhibit displays for mobile (smartphones and PC/tablets) application, automotive applications, reflective displays, organic light emitting diode (OLED) technology, and industrial applications. In each array of products will be exhibited, including the World's first standard monitor Size 17.3-inch 8K4K.